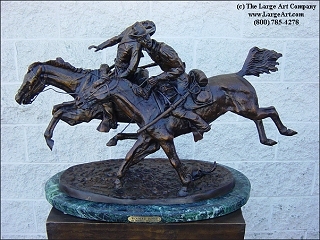 The Wounded Bunkie was the second of Remington's sculptures after Bronco Buster. 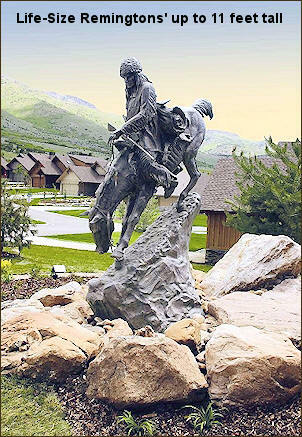 The sculpture depicts a wounded Calvary soldier being supported by a comrade while the horses are in full gallop. 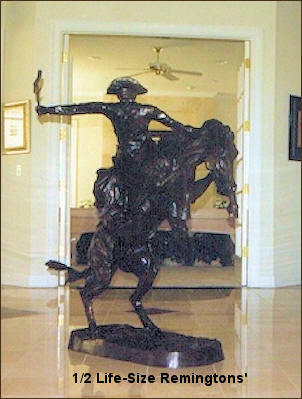 Notice that the entire sculpture is being supported by only two hooves touching the ground. 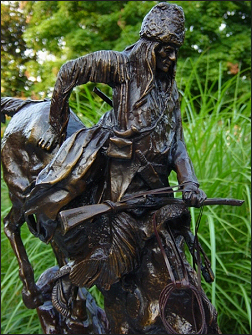 Remington was praised by critics who hailed his "complete mastery of the nature and anatomy of the horse. The action is superb ... the whole group in the most natural manner possible."